Scarlets are in contract talks with Wales trio Rhys Priestland, Jake Ball and Liam Williams. The current deals of all three players expire at the end of this season, with English Premiership clubs reportedly interested in signing them. Scarlets head coach Wayne Pivac is eager to ensure all three stay with the Llanelli-based region. "We would definitely like to keep them. Those talks are going on behind the scenes as we speak," he said. "I can't really tell anymore at this stage." 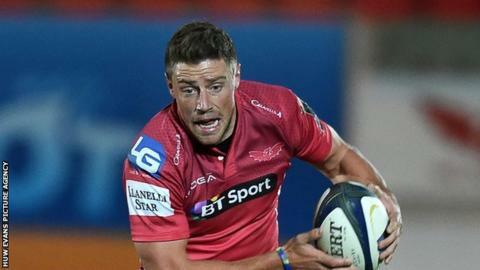 Wales fly-half Priestland, 27, has been linked with Bath, full-back Williams, 23, with Leicester, and lock Ball, 23, with Northampton and Tigers. Pivac did not confirm if potential new deals for the trio, who have 58 Wales caps between them, would be dual or regional contracts. "Other people make those decisions but certainly we will be supportive either way," he added. Meanwhile, Williams is a major doubt for Friday's Pro12 game against Cardiff Blues because of an ankle injury.